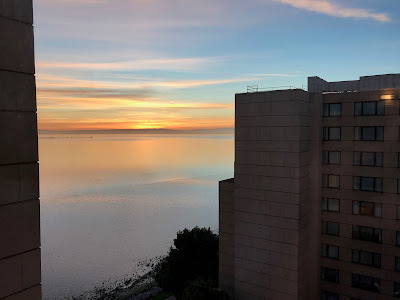 The Rewards Canada family was in need of a hotel near SFO for a quick overnight stay to catch a flight in the morning. We wanted something close, not crazy expensive and of course a hotel where status could get us something extra. 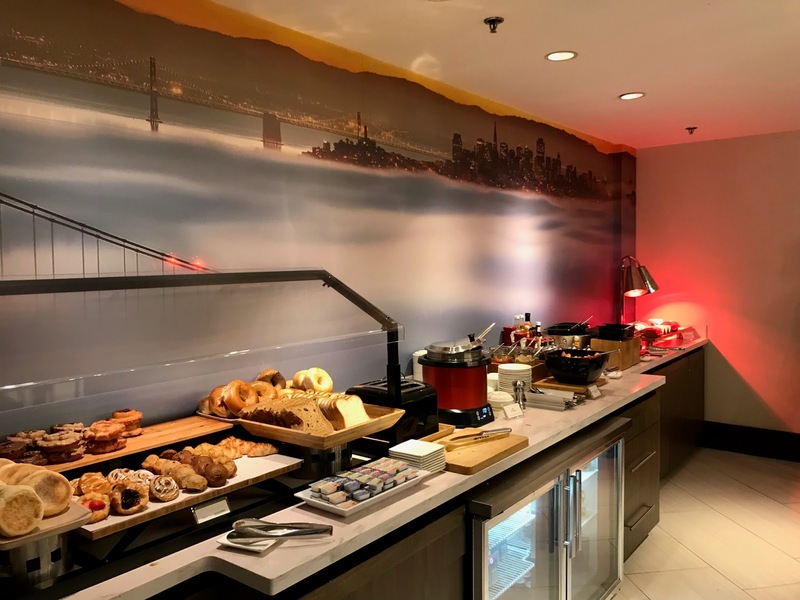 It seems like most of the hotels around the airport get average reviews with nothing really outstanding, so having Platinum status with Marriott we decided on the San Francisco Airport Marriott Waterfront since it was close and has a M Club lounge. 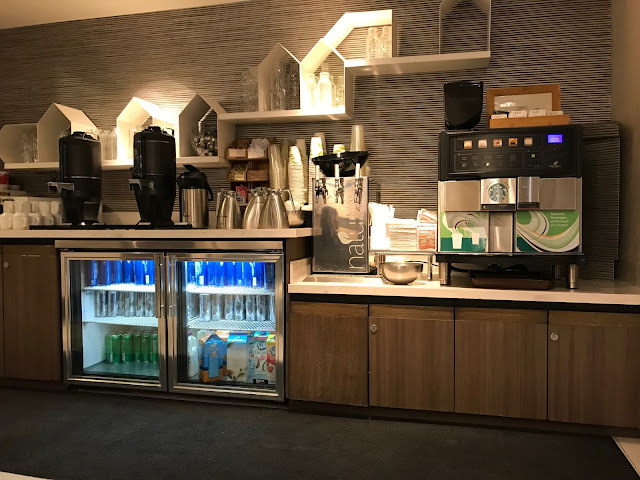 By having the lounge it made for an easy breakfast option when not having too much time in the morning before our flight. Walking into the hotel it may seem pretty nice but one thing you learn is that you can’t judge how good it is by its lobby or entrance area. 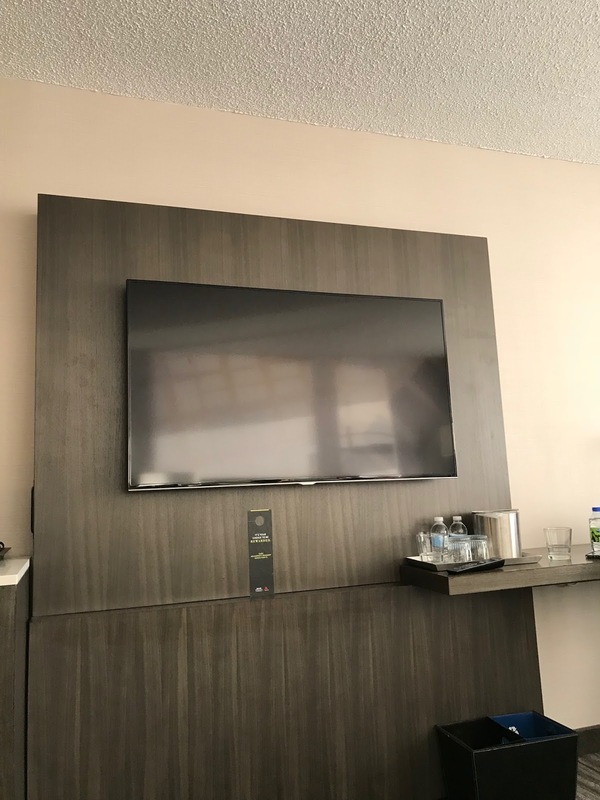 Some hotels can have amazing public spaces and the rooms will be well.... not that amazing. Such is the case here! The check in area was crazy busy with quite a long line but luckily the elite line only had three people waiting in it. We had done a mobile check in and requested a mobile key but that never made it to our phone. The lady working the elite desk was pleasant, told us we were upgraded to a concierge level room however she never asked what Platinum amenity we wanted. Per Marriott’s own terms and conditions we are to be provided with a $100 credit for them not asking. When I called down and requested the $100 credit they said we selected points which wasn’t the case at all. 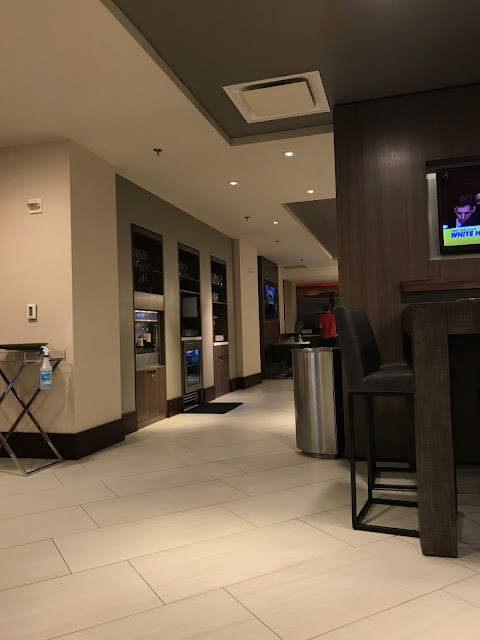 We have brought this up directly with Marriott via Twitter and we eventually did get the credit after having to reach out several times. As well when doing the mobile check in you can put in additional requests and in this case we requested two additional duvets but those weren’t waiting for us in the room. I had to call down for those and also ask for more bath towels since the room only had two for the four of us. This has got to be one of my biggest pet peeves with so many hotels, not just this hotel! When you book a room you are asked how many guests there are per room so they should make sure it is stocked accordingly. 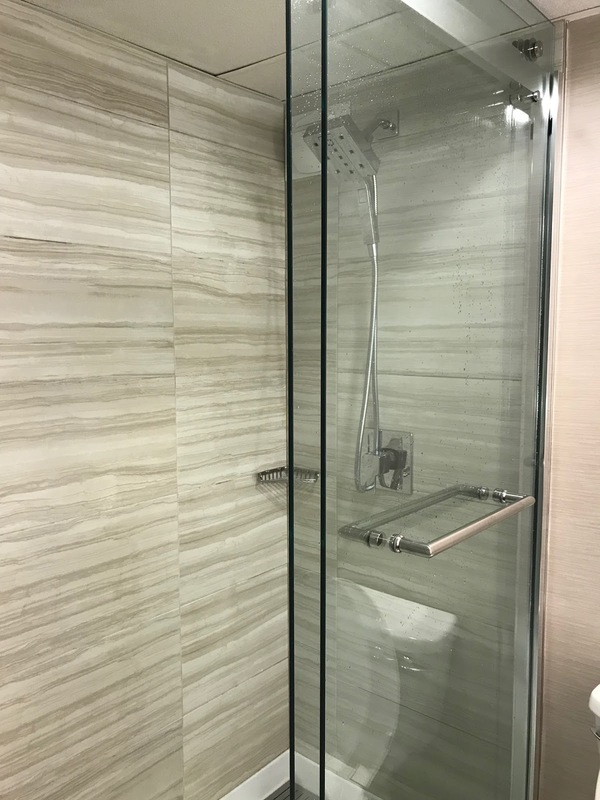 I would have to say 75% of the time the number of bath towels do not match the number of people on the booking. The room itself was OK and the best part about it was a little surprise waiting for us in the toilet! Not sure if housekeeping was overwhelmed and rushing their room cleaning but they sure missed that! Speaking of the toilet, the toilet paper holder didn’t hold the roll well and it pretty much fell off every time it was used. In all honesty I was surprised the room was considered concierge level. Here are a few shots of the room, I didn't take too many as we were pretty tired and just wanted to get to bed! The views from this room however are an avgeek's dream as it faced onto the waterfront and the parallel approach for runways 28R and 28L. The M Club lounge is on the main floor at the end of the lobby and was very busy when we went in for breakfast. We did take the last four seat area in the lounge as all the other possibly tables for 4 people were already occupied. The food options were decent with a wide selection of cold and hot options including some breakfast tacos that our oldest daughter really enjoyed. 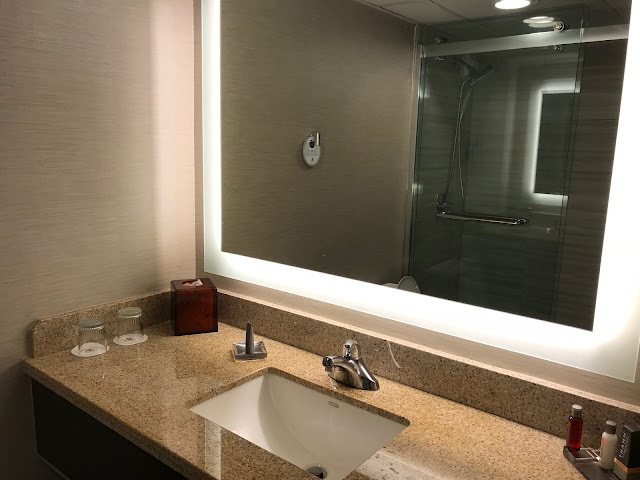 Maybe we've been spoiled by some of the other Marriott hotels we have stayed at and were expecting similar quality to those as all four of us were a little disappointed in the hotel. 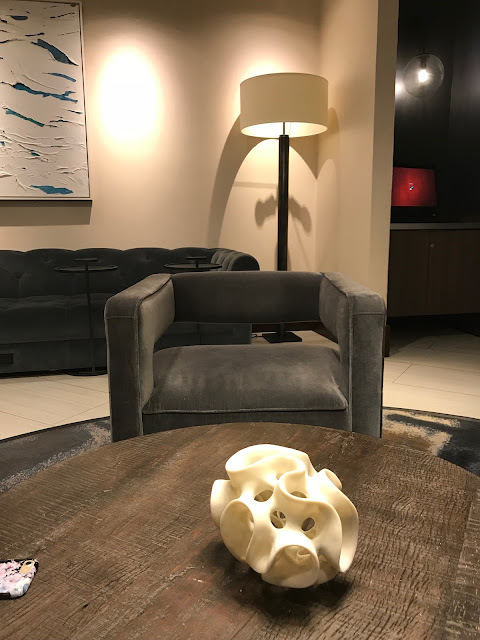 We had it booked for our transit back to Calgary but cancelled that booking and decided we would try out the Aloft hotel a few blocks away. Watch for that review to come soon! Talk to us! Have you stayed at the San Francisco Airport Marriott Waterfront? What are your thoughts of the hotel? Or are you planning to and looking forward to it? Let us know below!